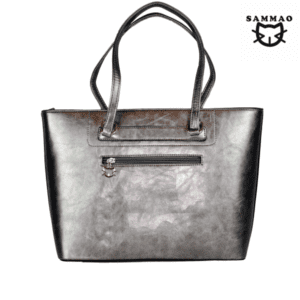 Classic silver metallic leather handbags. 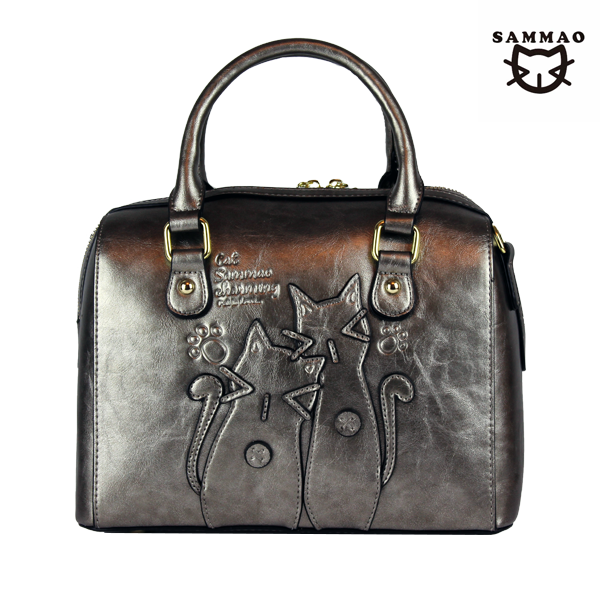 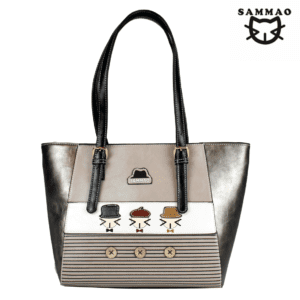 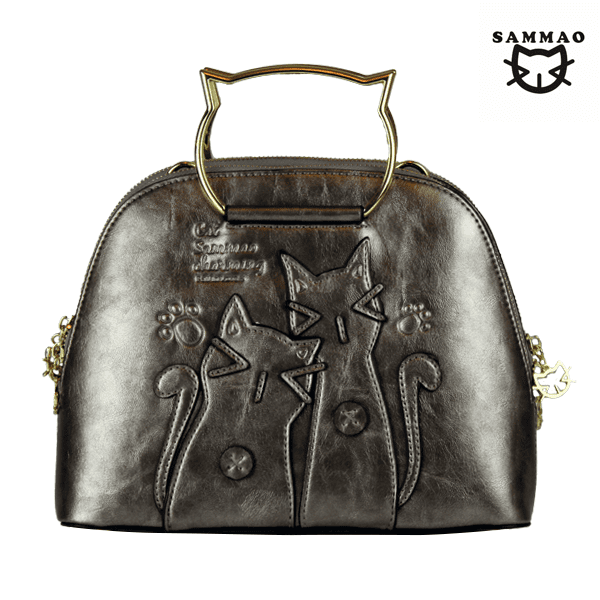 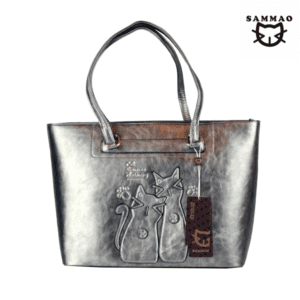 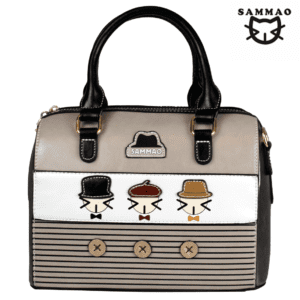 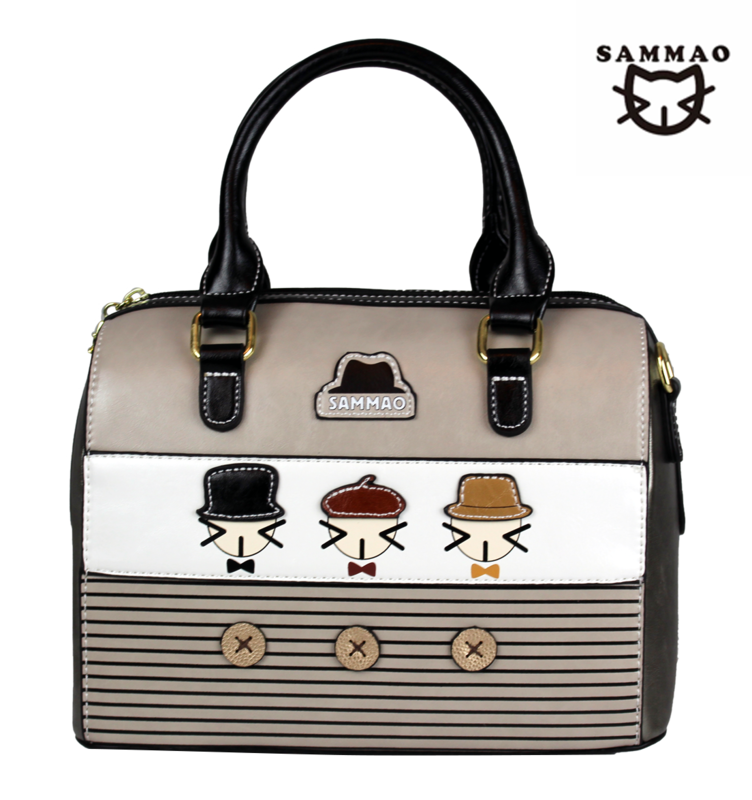 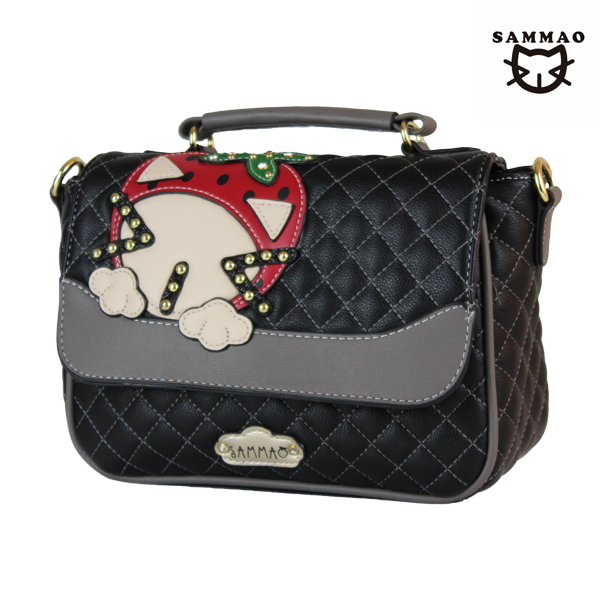 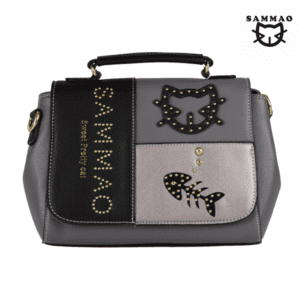 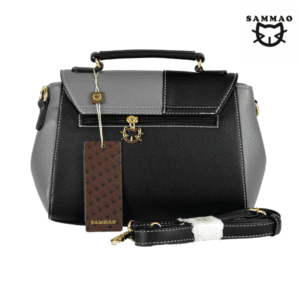 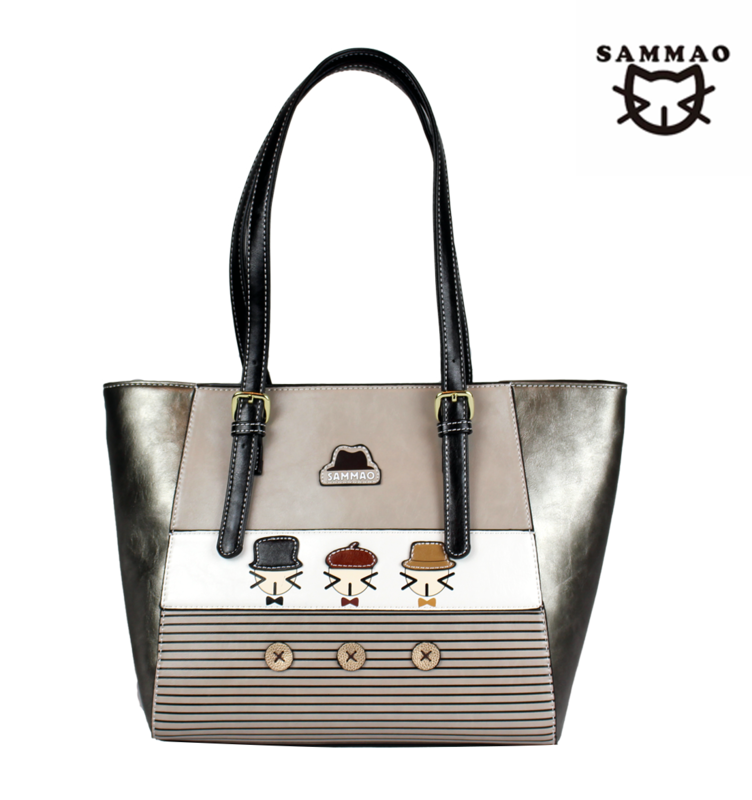 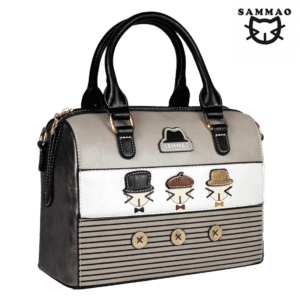 The bag features two charming Sammao cats. 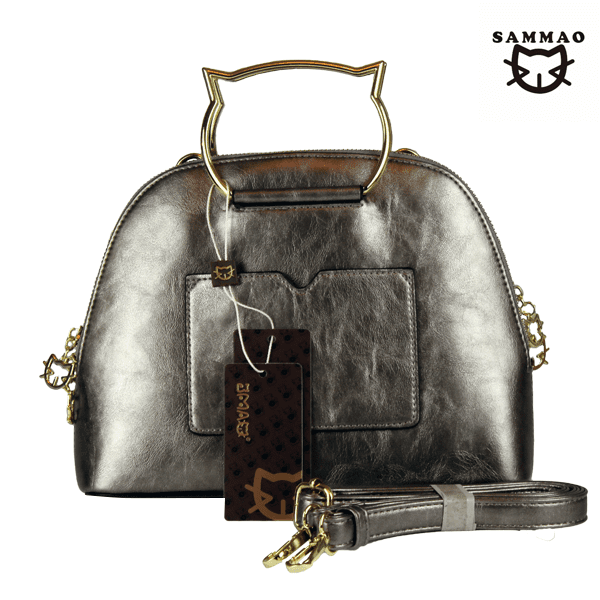 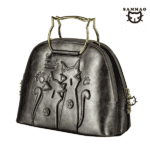 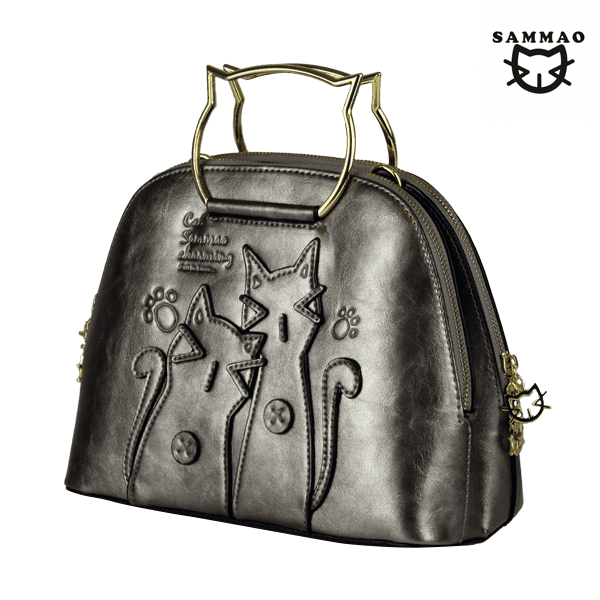 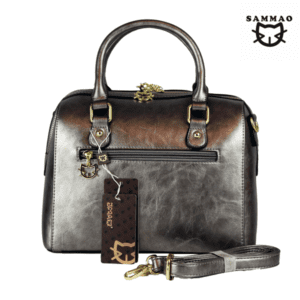 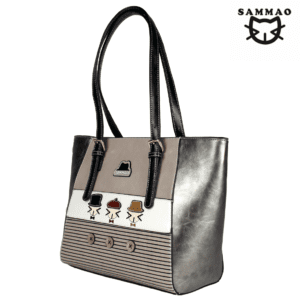 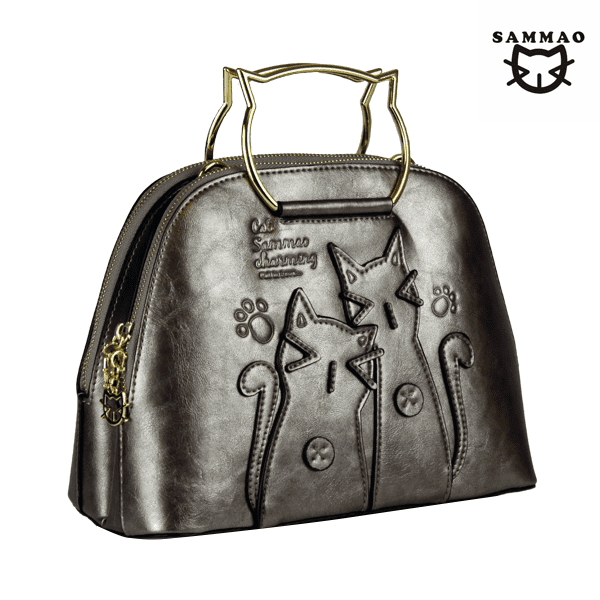 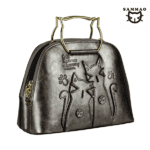 The bag has a distinctive Sammao cat shaped metallic handles and comes with a detachable shoulder strap.